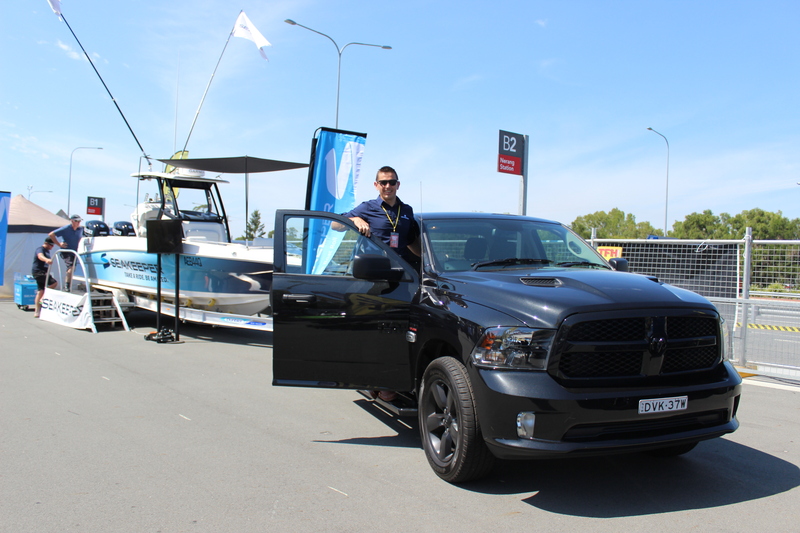 The Big Boys Toys Expo, Saturday 3 and Sunday 4 November on the Gold Coast, was the ideal launch pad for the brilliant combo of the head-turning Haines Signature 788 Sport Fish with the awesome Seakeeper 2 anti-roll gyro installed and the latest RAM 1500 Express tailor-made for towing. 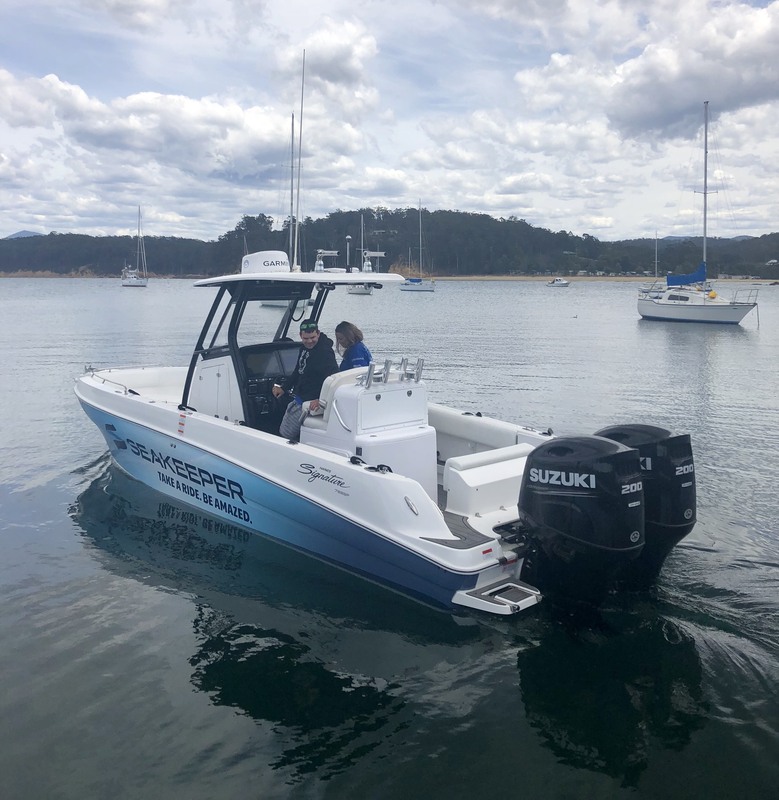 Amid the array of bikes, boats, ATVs, 4x4s, drones and other cool gear, all eyes will were on the Seakeeper set-up, including the big-screen demonstration of the Seakeeper 2, filmed recently on Sydney Harbour for The Captain magazine. Seakeeper is a computer-controlled gyroscope designed to virtually eliminate boat roll at all speeds, making for a safer, more comfortable ride for owners, guests and crew. The Haines Signature 788SF is the largest centre console the Queensland boatbuilder has ever produced. Powered by dual Suzuki DF200AP engines and brightly branded with the Seakeeper livery, the 788SF features an all-new hull with full composite construction, a 16-34-degree variable-deadrise running surface, and 500 Litres+ fuel capacity. Best of all, its 2.50m beam means this 26-footer is trailerable without a permit. And that’s where the extra-large towing capacity of the RAM 1500 Express comes to the fore. It also boasts best-in-class towing: 4.5 Tonne max towing! That’s a whole tonne more than any ute in its class. With a maximum braked towing capacity across the range of up to 4.5 Tonnes, nothing comes close to the RAM 1500 when it comes to towing. For carting your gear around, the 1500 Express has a whopping 6’4″ Cargo tub, delivering a load length of almost 2m long and just over 1.6m wide (1,295mm between the wheel arches), allowing for a full size pallet with ease, along with plenty of leftover space. No 5-seater ute can boast a bigger cargo bed than the Ram 1500 Express. “There’s a full calendar of awesome angling events on the east coast,” said Simon. “We will be inviting partners and keen fishos to get onboard with us and experience the Seakeeper difference for themselves. The Haines Signature 788SF is equipped with Garmin electronics which display how the Seakeeper 2 is working on the Garmin screen. 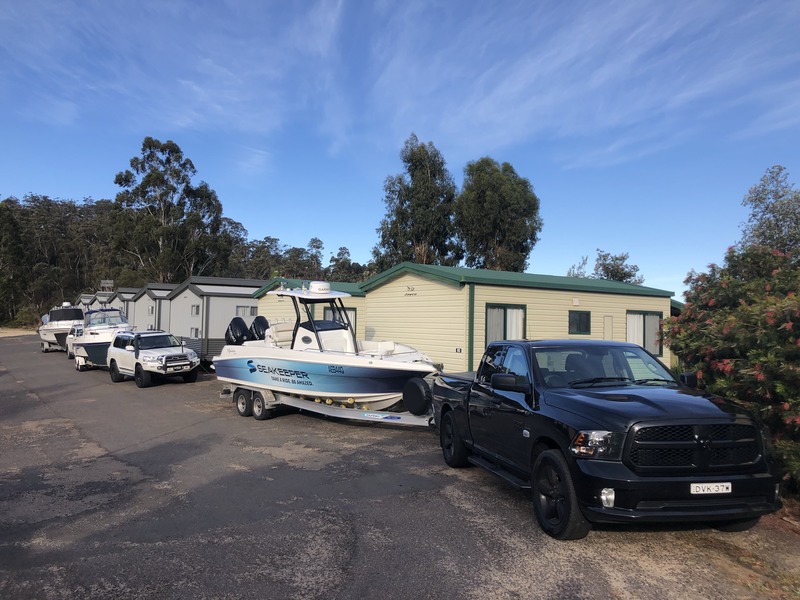 The sleek and powerful boat will be prominent at the country’s major fishing tournaments, conducting demos and no doubt wowing anglers eager to get onboard and experience the Seakeeper difference for themselves.